SingSaver is offering cash gifts for both new and existing cardholders when they sign up for new miles cards. Heads up: if you’ve been holding off pulling the trigger on some new credit card sign ups, SingSaver is offering a few promotions that are available to both new and existing customers. That’s great, because manyatimes the best gifts are available only for new to bank customers. 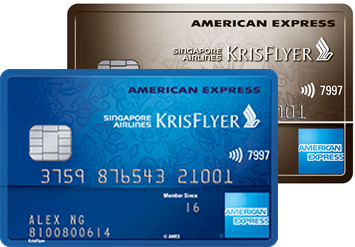 The AMEX KrisFlyer cobrand cards don’t have the highest miles earning rates out there (1.1/1.2 mpd local, 2.0 mpd overseas in June/Dec), but they have big sign up bonuses and should still be part of your plans if you’re new to the miles game. Every once in a while, they throw up some nice bonuses too. The first year annual fee for the KrisFlyer Blue is waived. Do remember the KrisFlyer Ascend also comes with Hilton Silver status and a complimentary night hotel stay voucher, four SATS/Plaza Premium lounge access vouchers and a fast track to KrisFlyer Elite Gold. However, the first year fee of S$337.05 cannot be waived. You can only apply for either the Blue or the Ascend card. You’ll get the gift from SingSaver regardless if you’re new to bank or an existing customer. This promotion is available for applications submitted by 31 July 2018. These two cards earn 4 and 8 mpd respectively when used with Apple Pay from now till 31 July 2018. If you’re only finding out about the amazing Apple Pay promo now, you’re kind of late to the game, but I guess better late than never? 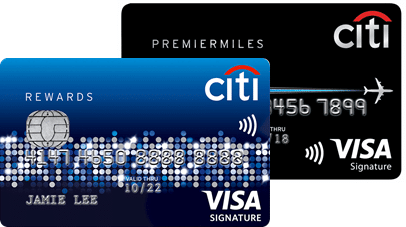 After 31 July 2018, you can use the PremierMiles card as a general spending card to earn 1.2 mpd locally and 2.0 mpd overseas. The Rewards card would fill the gap for online shopping, department stores and anywhere that sells shoes, bags or clothes, earning 4 mpd for such categories. 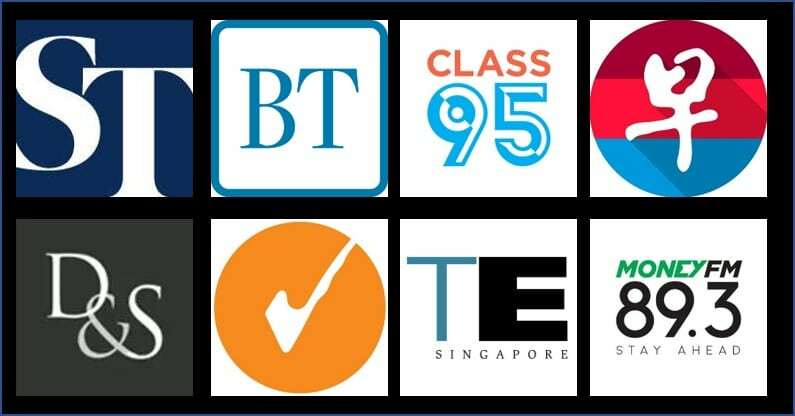 Existing Citibank customers can get $50 of NTUC vouchers when they apply for a Rewards or PremierMiles card, while new-to-bank customers can enjoy $150 of NTUC vouchers. The first year annual fee is waived on both cards, and this promotion is available for applications submitted by 31 July 2018. 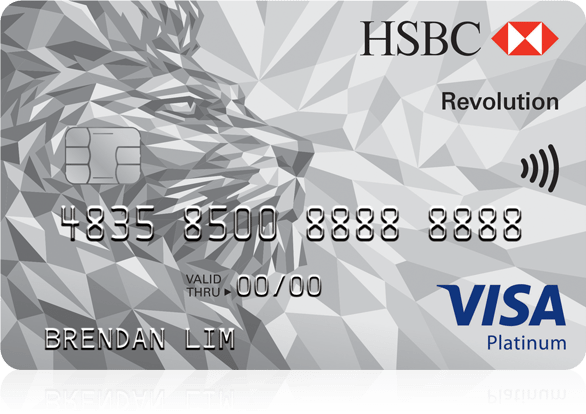 The HSBC Revolution is a useful backup card to have because it earns 2.0 mpd on online, local dining and local entertainment transactions. 2.0 mpd on dining is less than the Maybank Horizon Visa Signature’s 3.2 mpd, but HSBC’s definition of dining is broader. HSBC considers fast food to be part of dining, and explicitly states that spend at clubs, pubs, bars will get 2 mpd. There also is no minimum spend amount required to earn this. Fun fact: you can pair the HSBC Revolution with your EZ-Reload service and earn 2 mpd on the first S$200 spent on EZ-link top ups each month. That’s more than the 1.4 mpd you’d earn by using your UOB PRVI Miles Mastercard with ABT. New customers who spend a minimum of S$600 in the first month can get S$100 cashback or a Samsonite Astra 55cm luggage. Existing customers who hit the same S$600 threshold in the first month will get S$50 cashback. The first year annual fee is waived, and this promotion is available for applications submitted by 31 July 2018. 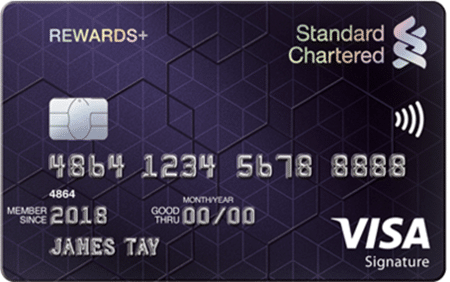 The SCB Visa Infinite is part of the so-called “$120K” group of entry level prestige cards (although its income requirement technically is $150K). You earn 1.4 and 3.0 mpd on local and overseas spending respectively if you spend more than S$2K in a month, otherwise you’re looking at 1.0 mpd for everything. The card has a non-waivable annual fee of $588.50, for which you get 35,000 welcome miles. That said, it does not have an unlimited Priority Pass (6 visits only) nor does it have airport limo service. However, and this is a big however, think about it this way. If you’re new to bank, you get a S$150 cash gift from SingSaver. This lowers the cost of the annual fee to S$438.50, for which you get 35,000 miles. 1.25 cents per mile is a great price, and any other card benefits you get are just a bonus. I recently reviewed the Standard Chartered Rewards+ card and wasn’t too impressed with the offering. So why am I listing it here? Because there’s opportunity to get some value out of the sign up gift. 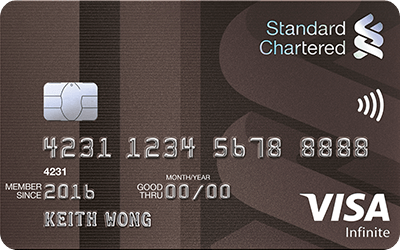 If you’re a new-to-bank customer for Standard Chartered, you get $150 from SingSaver when you sign up for the Rewards+ card. But that’s not all- activate your card within the first month and get $100 cashback (existing users get $20). That’s all you have to do (plus keep the card open for at least 6 months). So a new cardholder is looking at potentially $250 of free money, just by signing up for one card. The Maybank Horizon Visa Signature is a specialized spending card that earns 3.2 mpd on dining, petrol and taxi fares with a minimum spend of S$300 a month. You also earn 2 mpd on foreign currency spend, air tickets and travel packages. If I have applied and cancelled the AMEX blue in the past, do I still qualify for the bonus miles? Or only the sign up cash from Singsaver? Thanks. I have exactly the same question. I was advised by the AMEX CSO in the past that the benefits are meant to be once in our lifetime. Then again, in the past, the benefits weren’t exactly the same as now. Maybe someone else can advise? Krisflyer Amex is offering 7,000 miles upon first spend if you apply direct. So I guess there’s some trade-off? Btw do the bonus miles still apply if I had a Krisflyer Amex over 5 years ago? it should bring you to a page where you can select cards from a drop down. I been getting signed up for and sent new credit cards by a particular bank. Does anyone know if it’s allowed? Aaron, Bankbazaar is giving $100 vouchers for hsbc new signups and $50 for existing customers. There seem to be a discrepancy in the spending required to get the bonus $60 for capitacard. Singsaver list as $ 888 but amex list as $1500 . Also capitacard previously had referral bonus of $80 for referral and referee each. Total $160 is much more than $100 now. Next Entry Should I be buying SPG points?